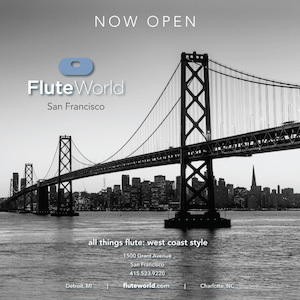 Flutes by the Sea Masterclass is the 3rd annual summer event produced by the San Francisco Flute Society featuring international artists, entrepreneurial workshops, flute choir program, concerts, exhibits and an opportunity to hear and learn from first class performers in the field. The class is held in the oceanside village of Half Moon Bay, CA July 8 - 11, 2015 at the historic Methodist Church in downtown, 777 Miramontes Street. This year Flutes by the Sea is excited to feature Jill Felber, flute professor at the University of California, Santa Barbara. 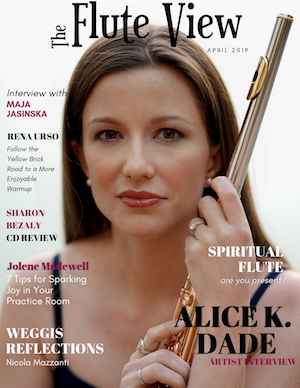 Additional guest artists include Viviana Guzman, Fluterscooter and Barbara Siesel, international soloists, Entrepreneurs, Juilliard Flute grads and Co-Founders of The Flute View Magazine. 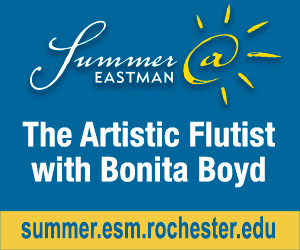 We will be adding two new concepts to the Masterclass this year, 1) Entrepreneurial One Day Workshop on July 8, and 2) Flutes by the Sea Junior Flute Choir, July 11, please send in a YouTube audition to participate. 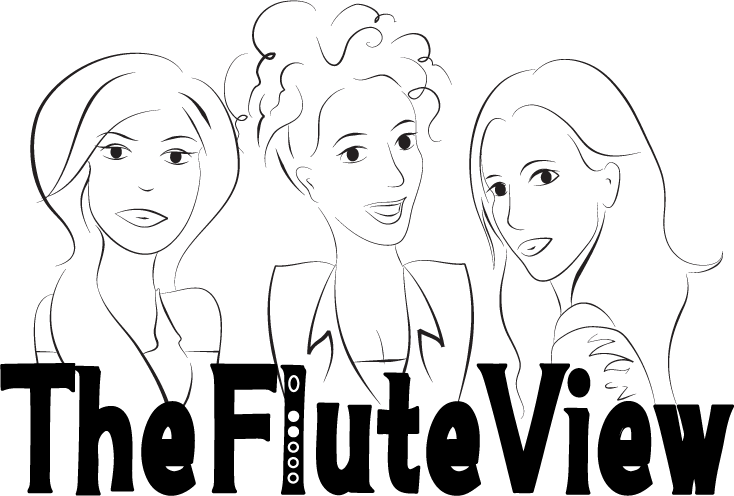 The Musician’s Entrepreneurial Workshop will be taught by Barbara Siesel, Fluterscooter and Viviana Guzman. It will focus on the modern musician’s need to develop entrepreneurial skills to survive in today’s music world by helping participants look outside the box for the untapped opportunities around them and integrating the concept of taking charge of your destiny. Topics will include presenting music in schools, social and media marketing, public relations, writing a good press release, CD production and marketing, how to plan and market your first tour, applying for grants, resume writing, website and press kit design, blog posting, and public speaking. 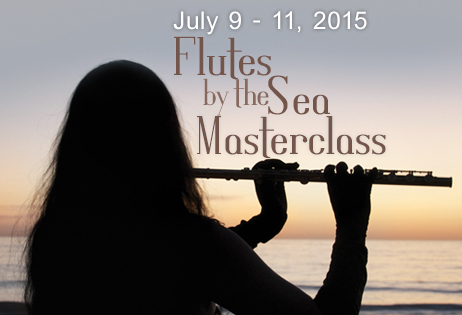 The Flutes by the Sea Junior Flute Choir Seminar is open to all flutists under the age of 21 and will take place in the afternoon on July 11th. 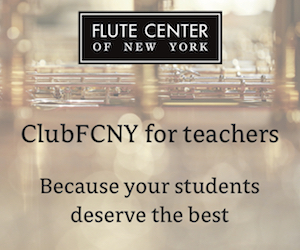 The focus will be to explore classical and contemporary flute repertoire in a flute choir format. 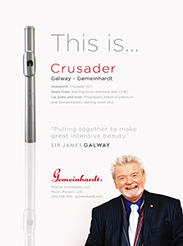 The seminar will include warm-up exercises, developing improvisation for classically training flutists, particular attention paid to posture, breathing, tone, tuning and articulation. Participants will be invited to perform on Saturday evening’s concert. 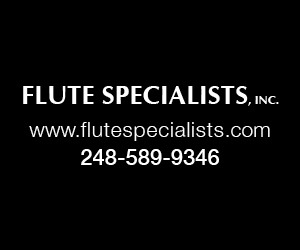 We look forward to seeing you at Flutes by the Sea 2015.